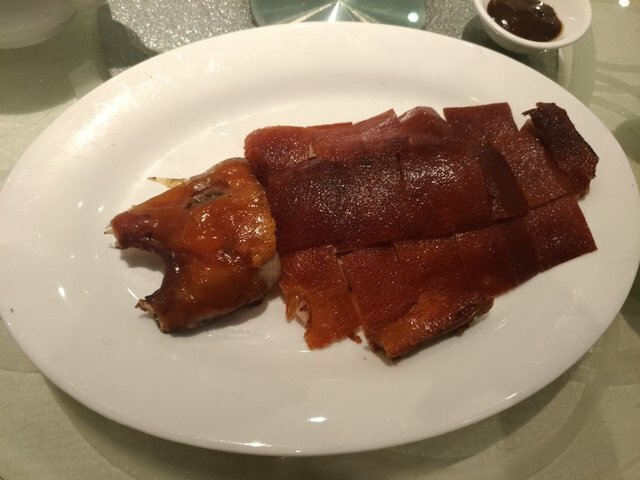 In Cantonese cuisine, roast suckling pig is one of the most extravagant dish that is always served at banquets and special occasions, particularly in Hong Kong. Often young piglets as young as 2 to 6 weeks old are used as the meat is very tender and soft. The piglet is butterflied at the belly, and roasted till the skin is thin and crispy. That is the best part of the entire dish, not the flesh. The suckling pig is always served whole, complete with the head and sometimes the little trotters. This makes the dish more complete and stand out more compared to the rest of the dishes during the meal. 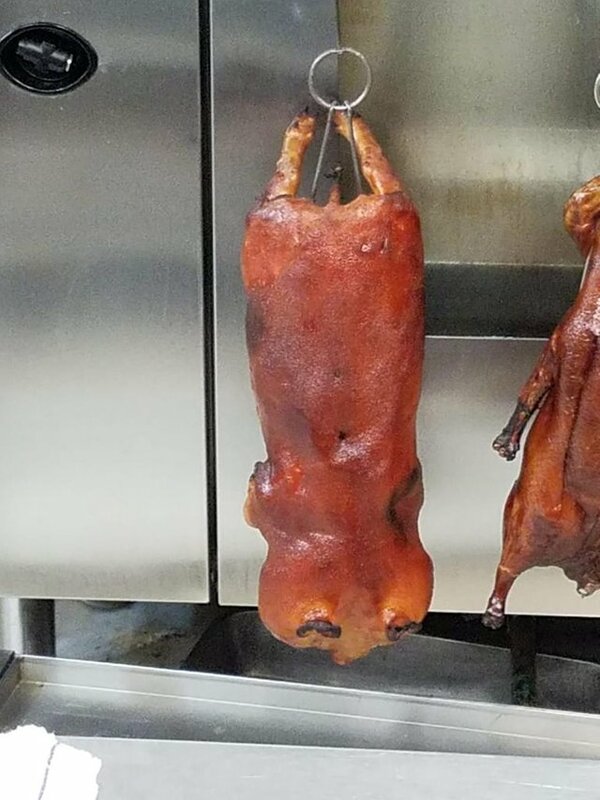 During Chinese New year, when people gather for dinner and celebrations, it is very common to order the roast suckling pig. In fact I had it for 3 meals within a week during Chinese New Year recently. These are the photos from each including one of the piglet fresh out from the oven before it is chopped up to be served. 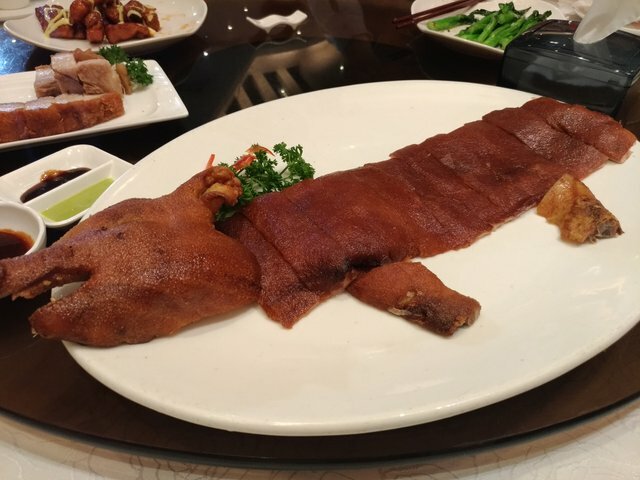 If you're ever in Hong Kong and someone orders roast suckling pig for your dinner, you'll know you're in for a special treat. This is my entry to @CoinGecko's Photo Contest - Local Cuisine, and theTasty Tuesday competition hosted by @qurator. Is it a bit chewy like that of a grown-up pig? That's a succulent looking pig! Thank you for your participation on CoinGecko's Photo Contest!